Camping cookware is something people almost always have way more of than they need. We’re not making aspic, we’re just scrambling some eggs. tl;dr: For car camping, you can probably get by with a skillet from home, or from the dollar store, and use plastic utensils nabbed from a fast food place for free. 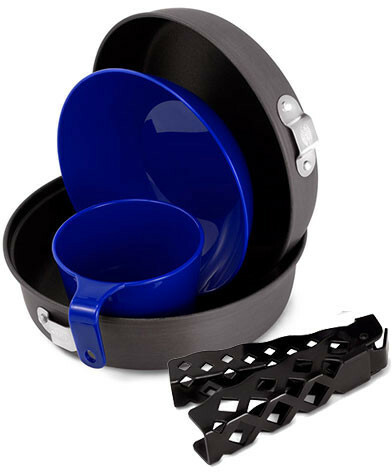 If you want to upgrade from there, or for backpacking, for 2-3 people, cooking actual food, get a GSI Extreme Cookset ($30, light but strong aluminum, durable non-stick, non-slip), and eat directly out of the pans using a couple of Light My Fire XM sporks ($8 each). Drink right from your re-cycled 32 oz. Powerade bottle, or your $7 HDPE Nalgene. 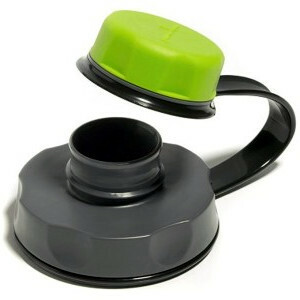 If you start to really put some miles on your Nalgene, consider the $6 CapCap upgrade! Longer version: If you’re car camping, use a skillet with a metal handle from home, and you’re all set. Boom done. I’d go with something non-stick: scrubbing dishes while camping is a sign that you’re a serious masochist, or a tenderfoot. If your home pans are fancy-pantsy, just get a crappy non-stick skillet from the dollar store, or if you don’t have a dollar store, get a GSI Bugaboo campfire skillet in whatever size you like. For backpacking or more regular camping use, there are two types of pan sets: one more for normal cooking over a campfire (or stove), and one more for boiling water to make rehydrated meals. I favor the first type, because that’s the kind of cooking I mostly do. Recommendation: For this style, I love the GSI Extreme Cookset ($30). Throw away the little plastic cup and bowl that come with it, which are pretty so-so. The actual pans and handle are AWESOME! Lightweight, very slippery and durable non-stick coating, non-slip bottoms, and sturdy. You can cook a meal for two in this set no problem. I also got weird with it and drilled a lot of tiny holes in the soft aluminum pot grabber / handle of mine, to lighten it even further. This worked great, and was probably still not at all worth the time it took, but there you go. I keep the handle in a ziploc bag when it’s inside the kit, so it won’t scratch up the nonstick coating. There are fancy titanium cooksets that will shave a tiiiiiiiiny amount of weight off of your pack if you choose carefully, but (a) it’s really not much weight for the money, and (b) they’re rarely offered with non-stick coatings, because they’re tailored more for the ‘boiling water to rehydrate meals’ style of camp cooking. Eat directly from the pans with non-scratching plastic utensils- either free ones scrounged from fast food places, or the super sweet, much sturdier $8 Light My Fire Sporks . I like the full-size “XM” sporks over the mini ones, and I recommend going with a bright color so you can spot them when you drop them. If eating from the pan doesn’t do it for you, grab a couple of disposable plastic bowls from the supermarket or dollar store. Drink right from your water bottle, whether it’s a re-used Gatorade or Powerade bottle, or a for reals HDPE Nalgene (lighter than the more common transparent Tritan Nalgenes, but just as awesome). 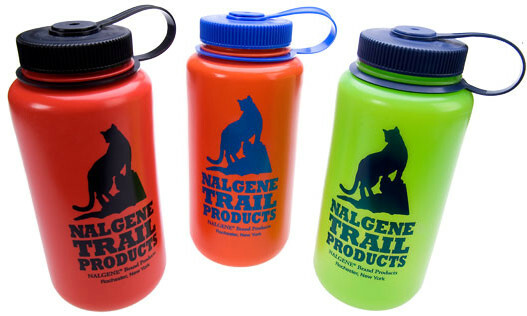 Nalgenes can handle hot liquids like coffee if you like. If you’re like me and can’t drink from your wide-mouth Nalgene without getting half of it on your shirt, give up a couple of extra ounces of weight for a $6 Humangear CapCap. If, unlike me, you’ll mostly be boiling water for re-hydrating meals, and want to conserve fuel, a taller pot with a heat exchanger, possibly insulated, is more your speed. If you have a JetBoil, or the Chinese knockoff version, the pot’s built in. Otherwise, there are several great options for about $30 for this type of efficient boiling pot, that you can combine with a cheap isobutane stove. Tip: If you get really into this style of camp cooking and have an uninsulated pot for boiling your water, and want a little “pot cozy” for it like the JetBoil pots have, lots of people make their own custom pot cozies using a bit of Reflectix insulating material and some foil tape.